Going by AMD’s nomenclature, 6870 should be the most powerful single GPU followed by the 6850. But surprisingly, this is a mid-range GPU, which falls behind the 5870. 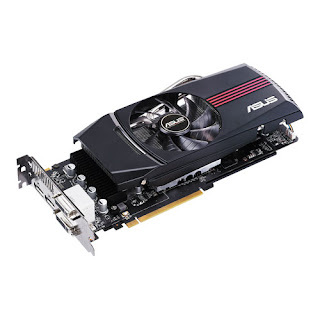 The 6870 has 1120 stream processors (30 percent less than HD 5870) and runs at 900 MHz. The GDDR5 memory tied to a 256-bit wbus runs at 1.05 GHz, (150 Hz slower than HD 5870). Other changes in the HD 6000 include an improved tessellation engine that performs signifi cantly better at lower tessellation factors, better anti-aliasing, UVD 3, HDMI 1.4a and DisplayPort 1.2. UVD 3 supports hardware acceleration for Blu-ray 3D, MPEG-2, and DivX and XviD codecs. The EAH6870 uses AMD’s reference design, which is similar to that of the HD 5870 with an intake fan that cools the heatsink with copper pipes running through. The cooler is enclosed in a plastic shroud that creates a chamber for the air to move through the fins and expel from the rear, and a few vents on the side. The rear panel sports two DVI ports, two mini DisplayPorts and an HDMI port. The HD 6870 was just about able to handle Crysis Warhead at 1920x1080 using Enthusiast settings, but with AA disabled. Just Cause 2 was relatively easy to handle with Very High settings and AA set to 8x. So you can rest assured that most of the latest games will run comfortably at full HD resolution with all the settings maxed out, but with AA disabled or set to lower values. The overall performance is good. It’s slightly more powerful than the GTX 470, but it takes a beating from the HD 5870, which is 12 percent faster. Our system power consumption went down by 12 percent when using HD 6870 instead of the HD 5870, but the idle power consumption dropped by a mere 2 Watt. 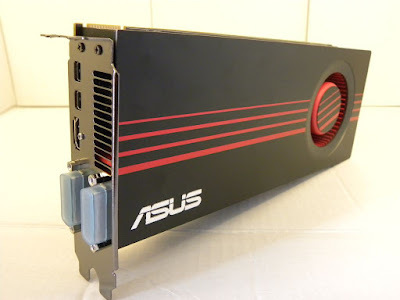 Priced at Rs 17,500, the Asus EAH6870 off ers good value for money. Competing GPUs by Nvidia also deliver similar performance at the same price point, but the power consumption is slightly higher.